Getting on Vietnam Classic Holidays is a perfect choice for you to explore our country as a land of diversifying traditions and beautiful landscapes. This definitely is an invaluable chance to discover key attractions of Vietnam, enjoy Vietnamese culture, custom, art, history, religion and interact with local residents for further understanding Vietnamese lifestyle. • An enjoyable holiday through the whole country of Vietnam from the North to the South. • A pleasant journey visiting a lot of notable key attractions of Vietnam like Hanoi, Halong Bay, Hoi An, Ho Chi Minh City, etc. • A wide variety of carefully chosen beauty spots ranging from natural (Halong Bay) to the manmade ones (Ho Chi Minh Complex, War Remnants Museum); from the traditional places (the Old Town of Hoi An) to the modern ones (Ben Thanh Market), etc. • Great experience of truly authentic values: Vietnamese finest cuisines, delicious foods and typical lifestyle. • Better knowledge about the country, nature, history and people of Vietnam. • Exotic feelings of encountering new things as buffalo riding, kayaking, and farming. • A lovely holiday of a lifetime through key destinations in the North of Vietnam. • An enjoyable vacation to admire the beauty of the Nature, People, History, Tradition and Culture in Vietnam. • Invaluable chance to witness the unique features which only belong to Vietnam like Water Puppet Performance, Bac Ha Market, The Old Quarter of Hanoi. • Exotic encounters of interesting activities ranging from kayaking, light trekking into Cyclo riding. 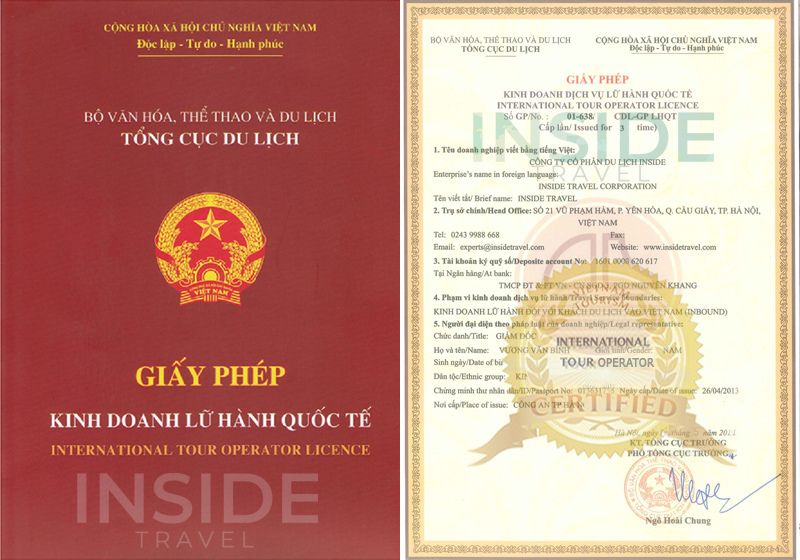 • A comfortable trip supported by top-rank facilities like Halong Bay cruise, Hotel in Hanoi, private coach. • Finest Northern Vietnamese foods and cuisine. • Explore Saigon: the War Remnants Museum, the Reunification Palace, the Notre Dame Cathedral, Central Post Office and Cu Chi Tunnel.